Donate your time as a volunteer! Are you looking for a challenge to satisfy your thirst for adventure and which will allow you to develop as a person? Would you like to actively donate your time to a good cause with the knowledge that your help is urgently needed? Then lend us a hand – we need you! ROKPA is constantly looking for qualified volunteers for both domestic and international assignments. As a charitable organization, ROKPA INTERNATIONAL depends on support from volunteers. You are an important pillar of our organization. Only with the help of your unpaid professional work are we able to keep the administration costs to a minimum and to use the donations where they are actually and urgently needed. See below a list with open volunteering jobs at the ROKPA Headquarters in Switzerland and in our project countries. Give us a call! Tel. 044 – 26 26 888. Corinna Biasiutti, ROKPA INTERNATIONAL, Böcklinstrasse 27, 8032 Zurich or info (at) rokpa.org. The medical ambulatory which is on attachment to the ROKPA Soup Kitchen offers modest medical help to persons in need. Every year, voluntary doctors and nursing staff travel at their own expenses to help in the ROKPA Ambulatory. Voluntary medical staff and doctors to provide ambulatory medical treatment for people in need from December to March (at least 6 weeks). It is essential that volunteers are in good physical and mental health and resilient. Therefore, prior to your application, we kindly ask you to read the following information and thank you for your understanding. We look forward to receiving your application! Please directly contact Magrit Stahel, project manager Soup Kitchen and Medical Ambulatory. The Tikologo Permaculture Project aspires to preserve and extend natural environmental systems through the principles of permaculture, agroforestry and natural farming models. 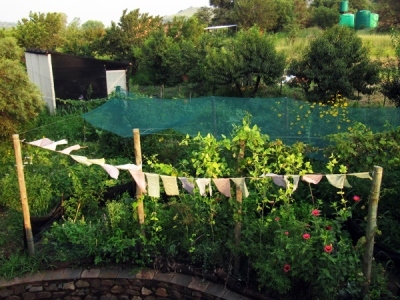 The project was started in 2015 as part of the Tara ROKPA Centre’s (TRC) environmental wing and is situated near Groot Marico in the North West Province of South Africa. The Tikologo project team looks forward to receiving your application and for any further questions, please contact growingtikologo (at) gmail.com. If you would like to support our projects with donations in kind, please contact the ROKPA Headquarters in Zurich. We are happy to give you information about what is needed locally. Thank you very much!